The pub in Applecross is very friendly with good seafood, and tables outside situated next to the sea. The 'Potting Shed' cafe (website here ) is ... "one of the best kept culinary secrets in the British Isles"
Not recommended with a caravan or a car with rubbish brakes! Plockton is a very pretty National Trust conservation village about 25 miles south of Shieldaig, in the direction of the Skye bridge. With a good selection of craft shops, galleries, pubs and the lovely cafe 'Off the Rails' which is found on the station platform, it is a popular destination for quiet holidays or day trips. You may well recognise the village as it was the setting for the hit TV series 'Hamish Macbeth'. Probably the most photographed castle in the Highlands, Eileen Donan has a visitor centre, cafe, gift shop and entrance to the castle and exhibitions from April 1st to Oct 31st. It can get very busy at weekends in August, but is well worth a trip. There has been a castle on the site for over 800 years with plenty of clan in-fighting as well as a key role in the Jacobite rebellion in the early 18th century. South of Eileen Donan Castle, the Glenelg peninsula is the isolated and little-known crofting area featured in Gavin Maxwell's otter novel, Ring of Bright Water. 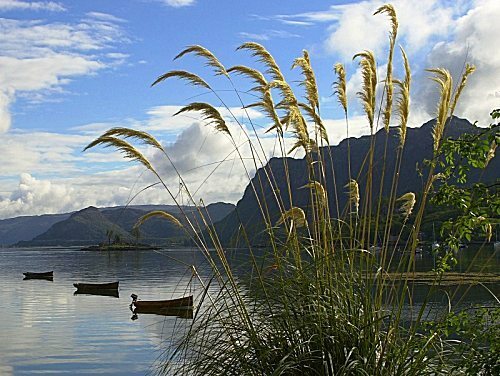 Glenelg village, is situated on a pebbly bay on the Sound of Sleat. A row of whitewashed houses surrounded by trees, the village is dominated by the rambling, ruins of Fort Bernera, an eighteenth-century garrison for English government troops. The Glenelg Inn is a wonderful spot to discover at the end of so remote a road, with food served all day and a good chance of live music from any local musicians who happen to be in the pub. The Beinn Eighe nature reserve is the largest in Britain, covering over 10,000 acres, and includes several big hills - Beinn Eighe itself, Sgurr Ban and Ruadh-stac Mor and Sail Mhor - these last two peaks are on either side of Coire Mhic Fhearchair with its loch and the renowned climbing area of the Triple Buttress. 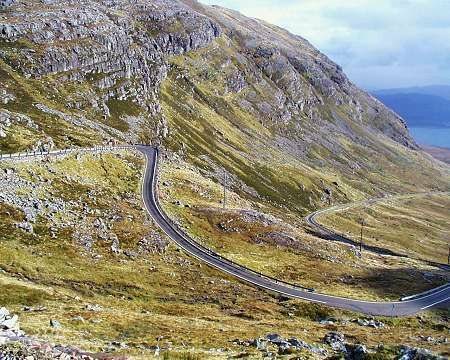 The Visitor Centre (Open Easter to October) with picnic site, viewpoint, interpretive panels, campsite, woodland and mountain trails is found on the Kinlochewe - Gairloch road. 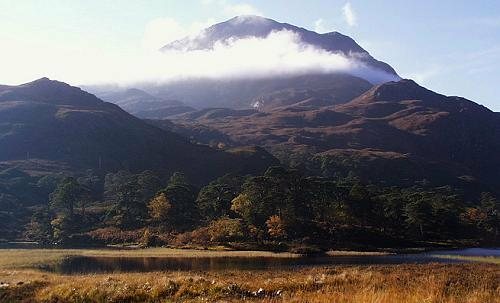 The drive up to Gairloch takes you the length of Loch Maree with its imposing hills and deep waters. In Gairloch, which is a reasonable sized settlement with shops, a decent pub serving food, and a bank, sea fishing trips go out daily in the season from the pier. Also, sea life tours venture out on the loch to look for porpoises, seals, dolphins, whales and sea birds. North of Gairloch are Inverewe gardens - often described as one of Britain's most beautiful botanical attractions. Open all year. Ullapool is situated on the shores of Lochbroom. It is a bustling town with supermarkets, restaurants, shops, cafes, bars, live entertainment, Museum & Library, sea fishing, loch fishing, deer stalking, car hire & cycle hire, a ferry to Stornoway and boat cruises. Ullapool is an ideal base from which to explore the Hebrides. 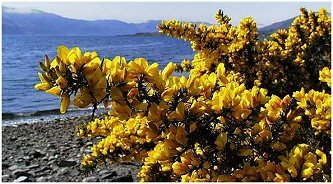 The bridge to Skye, just 45 minutes from the Torridon area of the Highlands is now free of charge to cross - on the Island the Cullin mountains are a popular destination as is the town of Portree (a further hour from the bridge). Uig (on the west coast) is another port from which to discover the Outer Hebrides.